Obituary for Ora Louise Goodwin | Frank R. Bell Funeral Home, Inc.
Our beloved Ora Louise Goodwin was born October 9, 1939 in Brooklyn, New York to (the late) James Slaughter and Margaret Street Carrington. Her father passed during her early childhood, and Ora was raised in a loving home with her mother and stepfather, Jacob Carrington. Along with her four siblings -- Carrie, William (“Billy”), James (“Jamesey Boy”) and Ellen -- Ora’s childhood years were spent at 606 Broadway in the Williamsburg section of Brooklyn. She attended elementary school P.S. 168, Mark Hopkins Junior High School and Eastern District High School. Ora also attended All Saints Roman Catholic Church in the Williamsburg district where she was baptized. Ora’s primary employment was at Kingsboro Psychiatric Center in Brooklyn. She began her employment as a food service worker in 1966, and retired as the Chief of Environmental Services in 1993 with twenty-seven years of service with the New York State Office of Mental Hygiene. Ora married Rhett Hampton Goodwin, Sr. (deceased) in 1957; three daughters: Belinda, Ellen and Renée were born to their union. Her companion since 1983 was José Crespo (deceased); one son (José) was born to this union. Ora enjoyed fishing with her brother Jamesey Boy and attending family gatherings. She had a love for animals, and her cooking was legendary. Ora was the “go to” person for family recipes. Ora was especially close to her children, grandchildren and great-grandchildren. Her children’s happy memories are countless; a few most cherished memories include the following: Belinda: a lifetime of Saturday mornings with old school music; Ellen: reading to Ora before and after her loss of vision and enjoying CNN together; Renée: happy times and happy places with pictures of freedom and fun; José (“Bumpsy”): pillow talk conversations and comfort foods! Ora relocated to Deltona, Florida in 1994. She served as the primary caregiver for her mother, Margaret, until her passing in 1998. She returned to Brooklyn in 2012, and was initially cared for by and in the homes of her family members. Ora was blessed to live independently again with the assistance of personal care aides as a senior resident at ‘Allen by the Bay’ for the last eleven months prior to her passing. 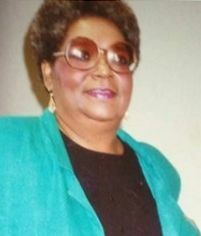 She departed her earthly life on Saturday, March 16, 2019 in Far Rockaway (Queens), New York. Ora was predeceased by her husband Rhett H. Goodwin; her companion José Crespo; her mother Margaret Carrington; her father James Slaughter; her stepfather Jacob Carrington; her sister and brother-in-law, Carrie and John Miller; her brother William Carrington; her sister and brother-in-law, Anna Kate and John Albert McKinney; a brother-in-law Andre Hostler; a cousin Edward Kirkland; one son-in-law Jonathan King; and lifelong friends: Beatrice Sheftall and Barbara Russ. Ora leaves to cherish her memory, her daughters: Belinda Goodwin (of Brooklyn, New York), Ellen Nelson, and her husband Ret. Sgt. Levy Johnny, Sr. (of Brooklyn, New York) and Renée King (of Atlanta, Georgia); one son Jose Goodwin (Crepso), and his wife Camile Barrington (of Bremerton, Washington); one brother James Slaughter and his wife Cynthia (of Concord, North Carolina); one sister Ellen Hostler (of Brooklyn, New York); a sister-in-law Lorraine Carrington (of Deltona, Florida); ten grandchildren, fourteen great-grandchildren, a special first cousin Beverly Kirkland; a special niece Cheryl Westbrook; and a host of loving nieces, nephews, cousins, other relatives and friends.